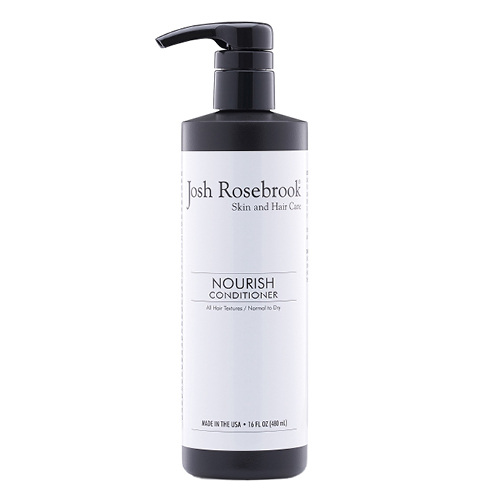 Nourish Conditioner by Josh Rosebrook is richly formulated for all hair textures and is especially ideal for those with normal to dry scalp conditions. Nut, seed, plant oils and herbs combine to offer a smooth, softened, and moisturized quality to hair. Fatty acids and phytonutrients restore a look of luster and health to hair, and diminish signs of hair and scalp conditions. Herbal infusions stimulate a feeling of vitality and encourage a look of strong, full, shiny hair. Apply mid shaft to ends of hair. Leave in for up to three minutes, then rinse.